A Los Angeles mother inadvertently drives her car onto a street controlled by a gang of drug dealers. She is greeted by a barrage of bullets, which kill her infant daughter. Thousands of miles away, in Afghanistan, a peasant cultivates a field of poppies. It has been a good year; production is up 25 percent. Opium poppies pay well, and the peasant’s family is struggling to survive. 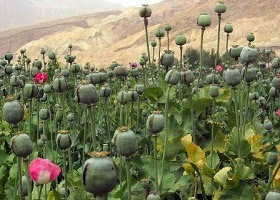 But these pretty poppies will be converted into heroin, and heroin destroys lives. A shy teenage girl in Sydney, Australia, goes to a discotheque every Saturday night. She used to find it hard to mix with the crowd, but recently a pill called ecstasy has given her new confidence. The pills she takes were smuggled into Australia from the Netherlands, although local laboratories are also beginning to supply them. Ecstasy makes the music sound better, and she loses her inhibitions. She even feels more attractive. A newborn baby shrieks in a hospital in Madrid, Spain. A nurse frantically tries to pacify him but to no avail. The baby is suffering the agony of heroin withdrawal. 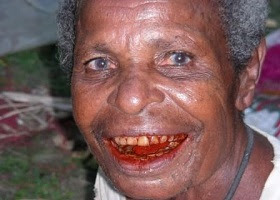 Worse still, he is HIV-positive. His mother was hooked on heroin. For Maria, a tough peasant who ekes out a living from her small farm in the Andes, life got a little easier for her children when she began to cultivate coca and selling the coca leaves. These are just a few of the human faces behind the drug scourge that is wracking our planet. Whether these people are consumers, producers, or innocent bystanders, drugs are relentlessly taking over their lives. How big is the narcotic drug problem? 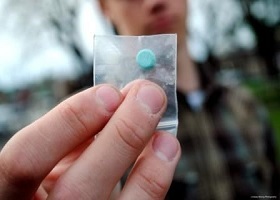 To make matters worse, in recent years designer drugs have entered the scene. These synthetic chemicals are designed to give the consumer a high, or a euphoric feeling. Since designer drugs can be manufactured cheaply almost anywhere, police forces are practically powerless to control them. The newer drugs are no less potent than their predecessors. 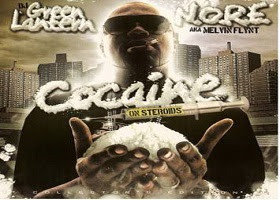 Crack cocaine is even more addictive than cocaine. New strains of cannabis have greater hallucinogenic effects, and a new designer drug called ice may be among the most destructive of all. Native tribes are also not immuned to this problem. For example, Yap’s four major islands and several smaller ones have a land area of 39 square miles (101 sq. km) and a population somewhat under 3,000. Yapese, the official language, is spoken nowhere else in the world. 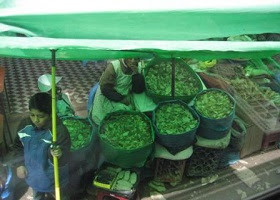 However, some Yaps have developed custom of chewing betel nut, which produces a narcotic effect. Similarly, in our modern society the are substances which can be legally obtained but under certain conditions their use can have narcotic effects.e.g. tobacco and alcohol. Technically, alcohol is a food because of its caloric content. But it must also be classified as a drug because it depresses the body’s central nervous system. 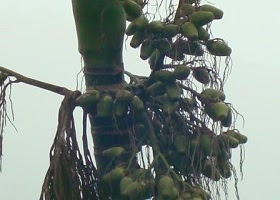 In large doses it has a narcotic effect on the body the same as a barbiturate. Because of its mood altering nature, it’s a stress reducer. It loosens up your inhibitions, changes your thought process. Therein lies the problem with drinking and driving. You have an impaired person making an impaired judgment about an impaired performance. Some who are involved in difficult situations—divorce, loss of a job, family problems—often resort to heavy drinking in an attempt to cope with the pressure and stress. In this condition they behave in “irrational, irresponsible ways"
However, with alcohol one does not have to be intoxicated to have one’s performance affected. Only one or two drinks can impair the judgment of a driver and make him a threat to himself and others. Tragic indeed is this scourge upon society, which has poisoned itself with a deadly mixture of commercial greed and a permissive attitude toward a licit but potentially highly dangerous substance. What about illegal narcotic drugs? Although illicit drug users may be in the minority, their numbers are sufficient to grant immense power to the drug barons, the men who organize the production and distribution of drugs. These unscrupulous individuals run a racket that has become the most lucrative—and practically the biggest—business on earth. Drug deals may now account for about 8 percent of all international trade, or approximately $400,000,000,000 annually. As drug money moves around the world, it enriches gangsters, corrupts police forces, greases palms of politicians, and even finances terrorism. Can the war on drugs be won?